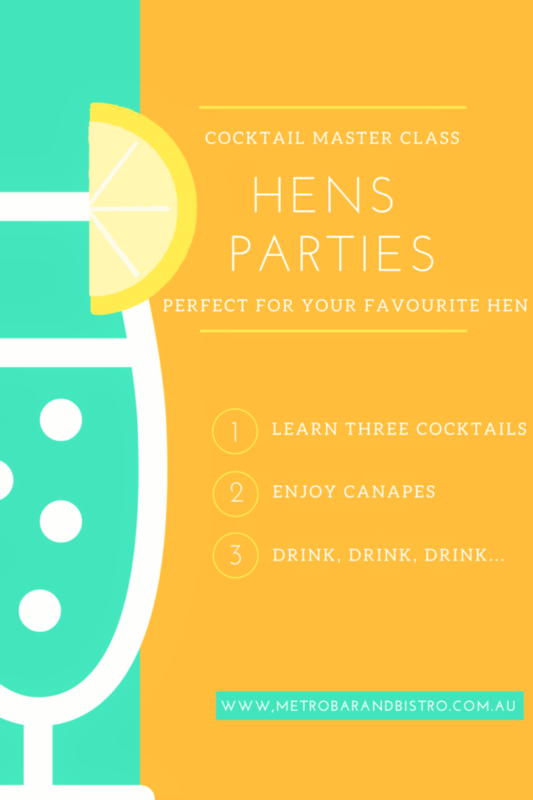 Looking for a unique, fun way to spend your hens day? Book a cocktail class at the Metro Bar and Bistro. Learn the tips and tricks to making great cocktails from our cocktail experts. Tapas and 3 cocktails $65pp.